Product code: 1813 Categories: Sold Items, Sold Rings. This antique signet ring looks simply superb on the finger with its design and large carnelian stone. Made in 18ct yellow gold, the carnelian (also spelt cornelian) is such a vibrant red-orange colour and looks superb set amongst the yellow gold. From side to side the bezel measures 1.5cm and top to bottom 1.7cm and this is a superb antique signet ring from the early 1900’s that truly stands out. 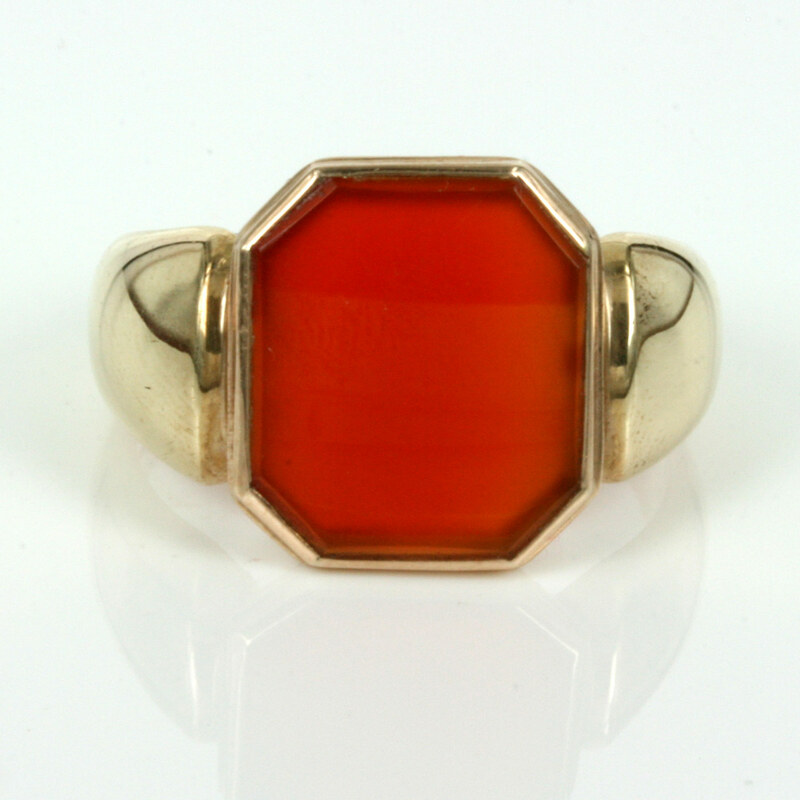 With the smooth and elegant rounded band to the carnelian, this is a wonderful example of an antique signet ring.